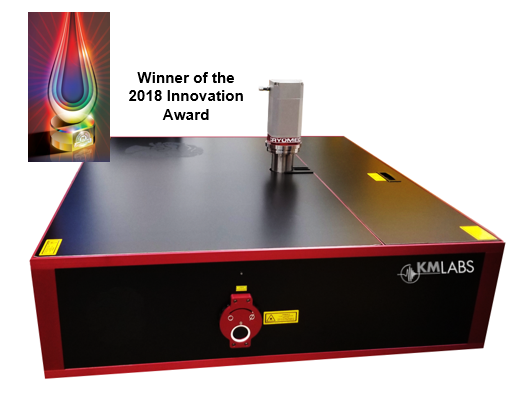 RAEA™ Ti:sapphire amplifier builds on KMLabs’ 20-year tradition of leadership in ultrafast science, bringing the unmatched flexibility of previous amplifier systems into a single, hands-free platform. RAEA has been engineered to make system operation as simple as possible. With temperature-controlled modules, contamination-minimizing enclosures, and remote alignment capability, maintaining your RAEA system is easier than ever. We have designed every aspect of this system to ensure that you spend more time on your experiments and less time working on your laser. While RAEA has been designed for unparalleled robustness, our team understands that each experiment has specific needs. That’s why we’ve worked hard to keep all of the flexibility the original KMLabs amplifier systems were known for in a user-friendly platform that’s right for any skill level: standard RAEA configurations are designed to cover the same range as our legacy amplifier systems and then some. Though our standard range of amplifiers covers from 1 to 200kHz, modified configurations can extend down to even single-shot operation. And, RAEA offers a unique software-tunable repetition rate in order to maximize experiment flexibility. For more information on which system configuration will best meet your requirements, please reach our experts via sales@kmlabs.com. The award-winning RAEA has been engineered for the most challenging applications rather than the most common, including high harmonic generation. Future-proof your lab with RAEA. In addition to being a comprehensive standalone system, RAEA is designed to be a powerful and robust source for our high harmonic generation system, XUUS. The RAEA amplifier provides more than enough power to fuel the XUUS high harmonic generation system. This combination allows you to achieve synchrotron-quality time-resolved experiments on a tabletop system, while still having remaining Ti:sapphire power to use in other experiments. RAEA HE: a system designed to maximize pulse energy – offers a lower repetition rate range than the HP and HR systems but with more than double the energy. Options ranging from 1-5 kHz and up to 20 mJ. RAEA HP: our workhorse system – a mid-range option with a wider repetition range than the HE but with more pulse energy than the HR. Options ranging from 5-30 kHz and up to 6 mJ. RAEA HR: the most flexible system we offer – designed with flexibility in mind, this system has the widest range of repetition rates of the systems we offer but with less pulse energy. Options from 30-200 kHz and up to 400 µJ. Short Pulse Option: a secondary option for the HE and HP systems – this option provides a shorter pulse on both of these systems with a small reduction to the highest achievable power. Shortens the pulse width from 35 fs down to 25 fs. Contact us to discuss your experiment requirements. Our technologists can help you find the best configuration for your needs.